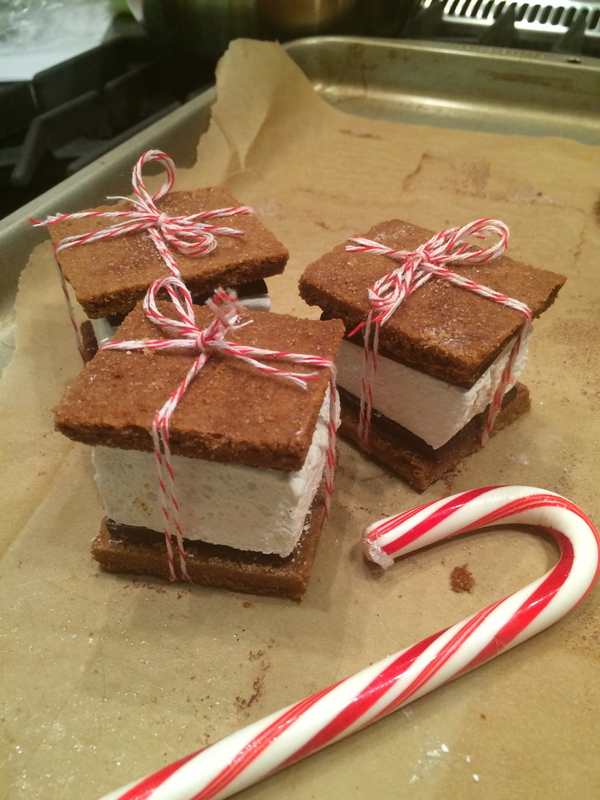 The weather outside is frightful, but we’re inside whipping up something delightful! Why not let us deal with some of your holiday gifts? We are making handcrafted artisanal treats that will bring a smile to anyone’s face. These handcrafted spoons are a whimsical treat to serve with coffee or tea. 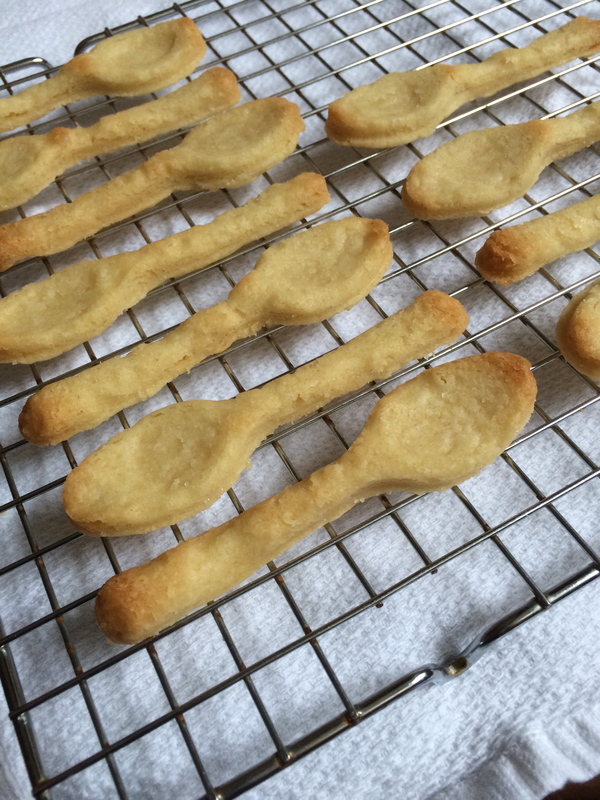 Made of shortbread cookie dough, the tips are awaiting a quick dip in chocolate, and a sprinkle of peppermint sticks or nuts. Of course you can get them plain, or dipped in something else. Caramel perhaps? This isn’t a winter wonderland, it’s a pile of homemade marshmallows! We will be plopping them on top of our hot chocolate on a stick to give you a decadent treat. They are the perfect stocking stuffer, or small token of the season. Our local tasters gave our hot chocolate sticks four thumbs up! 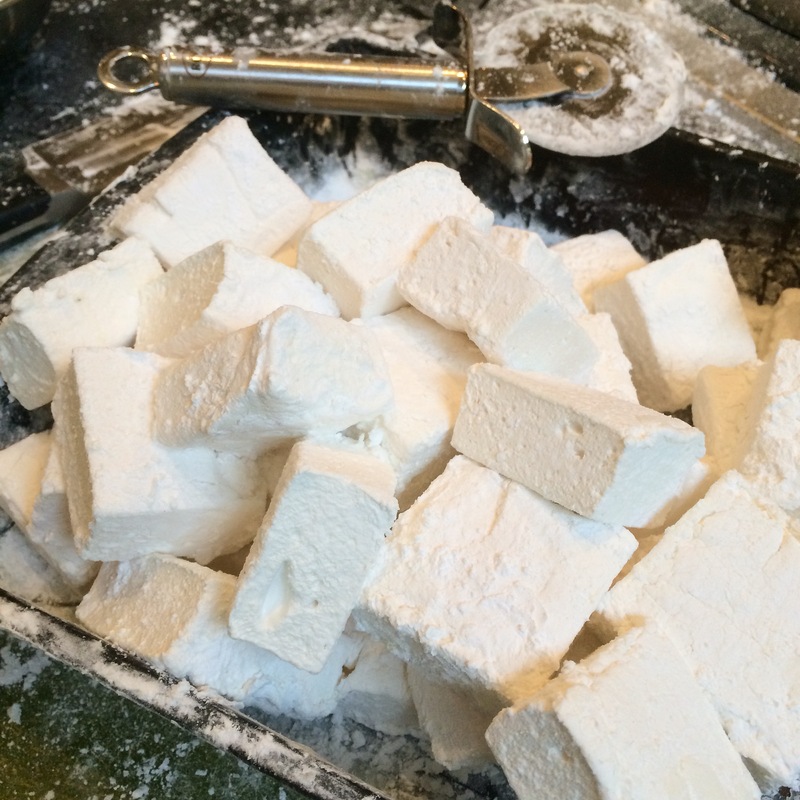 Those same fluffy marshmallows are also part of our S’mores kit. Nothing is lovelier than a fire in the fire place and marshmallows roasting. 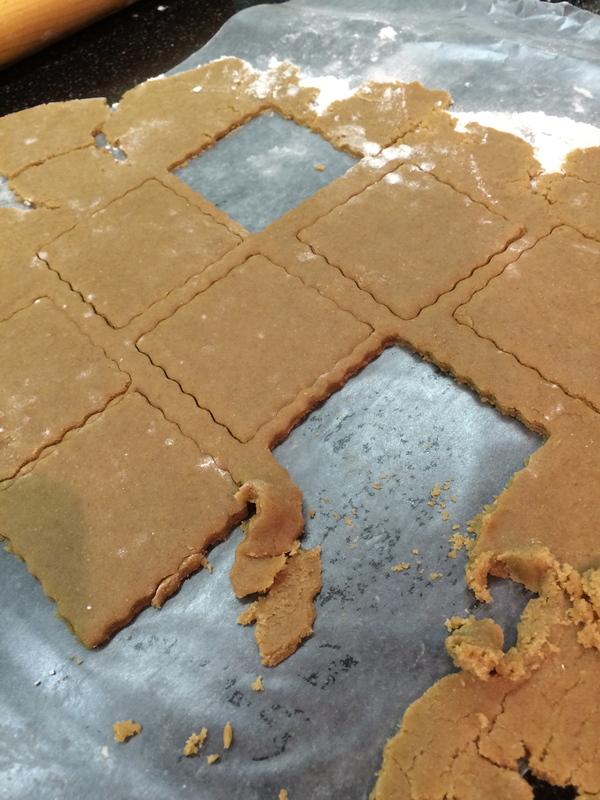 Our graham crackers are also handmade. Stop by indigojoneseats on Monday to see the final products, and take a peak at what else we can do. Everything is made to order, and packaged for giving. 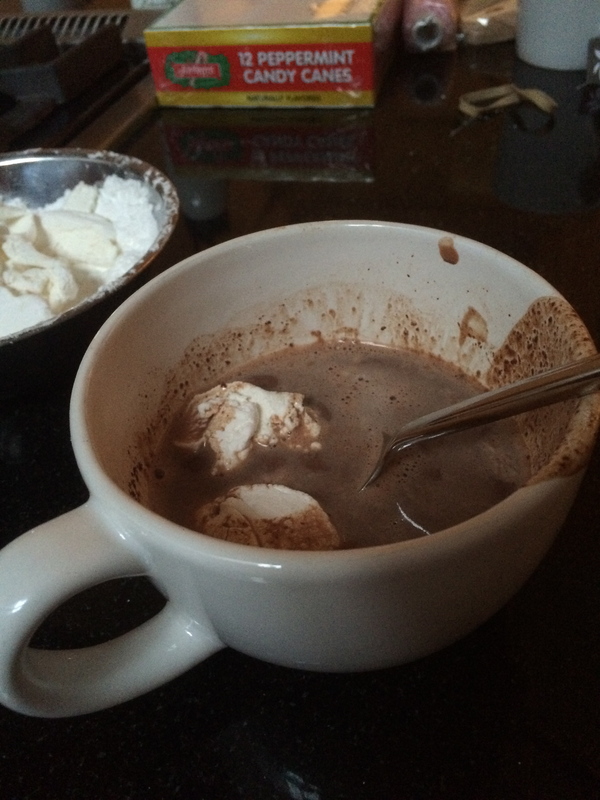 This entry was posted on December 6, 2014 at 4:07 pm and is filed under Food. You can follow any responses to this entry through the RSS 2.0 feed. You can leave a response, or trackback from your own site.